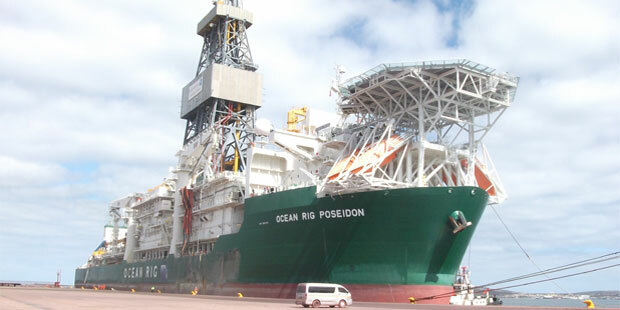 Chariot Oil and Gas , a London listed minnow, announced the deployment of the Ocean Rig Poseidon to spud the Prospect S well in the Central Blocks licence offshore Namibia, less than a week after Tullow Oil went to town with the results of Cormorant-1 as a dry hole. 12 days later, the probe was announced a duster. The operator was in the process of plugging and abandoning the well as we went to press in early October 2018. The structure on which the Prospect S was drilled is one of five dip-closed structural traps, totalling 1,758MMBbls gross mean prospective resources, which have been identified in the Upper Cretaceous turbidite clastic play fairway. The company had talked of a probability of geologic success of 29%, citing a Competent Persons Report by Netherland Sewell Associated Inc.
“A further two higher risk-reward, stratigraphic traps, totalling 885MMBbls gross mean prospective resources”, was to have been de-risked through the calibration of the 6,100km2 of proprietary 3D seismic data on the Central Blocks with the result of the Prospect S well. All that did not happen. Chariot operates the Central Blocks with 65%. Partners include Azinam 20%, NAMCOR 10% and Ignitus 5%. The latest wildcat well being drilled offshore Ghana is looking like a dud. “Initial interpretation of the wireline logs and MDT data is that no movable hydrocarbons have been encountered in the well, based on the current data”, reports Rialto Energy, the Austrailian minnow which has 12.5% stake in the Offshore Accra Contract Area. “The forward plan is to complete wireline logging operations and evaluation of the well data and block prospectivity. The well will be plugged and abandoned as programmed”. 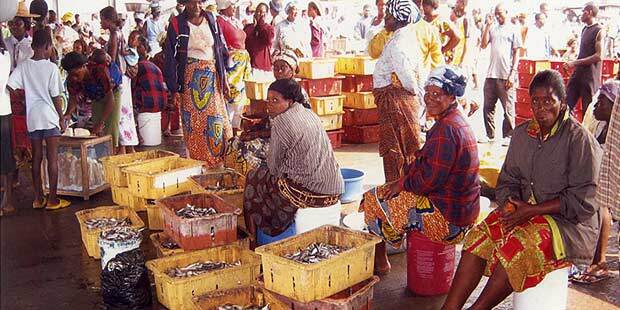 The Starfish prospect is located offshore Ghana along the prolific offshore West African Margin. The partners regard it as a large, deep-water prospect, “analogous to the Jubilee discovery with unrisked prospective resources estimated to be in the range of half a billion barrels (431 MMbbls (p50); 665 MMbbls (pmean))”.In buying its stake of the Offshore Accra Contract area in December 2012, Rialto Energy was expected to pay around $3 million, and provide a bank guarantee in respect of its participating interest share of the approved work programme and budget for the current exploration period.The company’s share of the well cost is expected to be $10Million. “The prospect was matured following reprocessing of the original 3D seismic data and the acquisition of the new 3D survey in 2011 over the outboard deep water area”, Rialto says in the release. Starfish-1 was drilled to a final total depth of 4,380 metres. Wireline logging operations were undertaken to evaluate the hydrocarbon potential of the primary target. The Offshore Accra Contract Area is operated by Ophir Energy, the Australian independent, with 20%. Other partners include Afex, also with 20%, and Vitol (30%). Tap Oil, which won the lase, holds 17.5%. People often say that the Niger Delta basin is a mature basin, an oil rich province in the waning days of its productive life. Ebi Omatsola disagrees. “The Niger Delta is a mid- life basin”, he argues. “Only 2% of Niger Delta wells have reached deeper than 15,000feet(4572metres) Total Depth”, laments Omatsola, managing director of Conoil Producing, the Nigerian independent. “70% of the wells in the basin have not gone deeper than 9,000feet(2743metres) True Vertical Depth. This is something like scratching the surface”, he told a monthly technical meeting of the Petroleum Club recently. Operators, he said, are afraid of taking risks. “Once we run into a shale sequence which gives us a heart attack, we run away”, he told the club, an assembly of owners as well as ranking managers of E&P companies. Omatsola says that policies should be introduced that allow government let companies rent a depth. “If you are holding on to an acreage and you can’t go deeper than a certain depth,can I take it over?”, he asked. “So long as I can show that I can, I should be offered the deeper parts of the acreage below which you can’t go and I should have obligations to drill a certain number of wells, for a certain number of years, before I give it up”. He said that companies “keep talking about incentives”, to do what should ordinarily be in their own interest. The Niger Delta basin has 37Billion (proven) barrels of oil left, after 47Billion have been produced in 55 years, but oil companies can still find more than twice these remaining reserves, if only they can breach their comfort zones and drill deeper. There have been several, sporadic attempts in the past. In the mid- 90s, Shell attempted a deep drilling campaign, with mixed results. A decade after, ExxonMobil and TOTAL jointly spud a well, targeted to drill deeper than 15,000feet, but pressure problems forced them to stop, even though they were using a High Temperature, High Pressure rig. 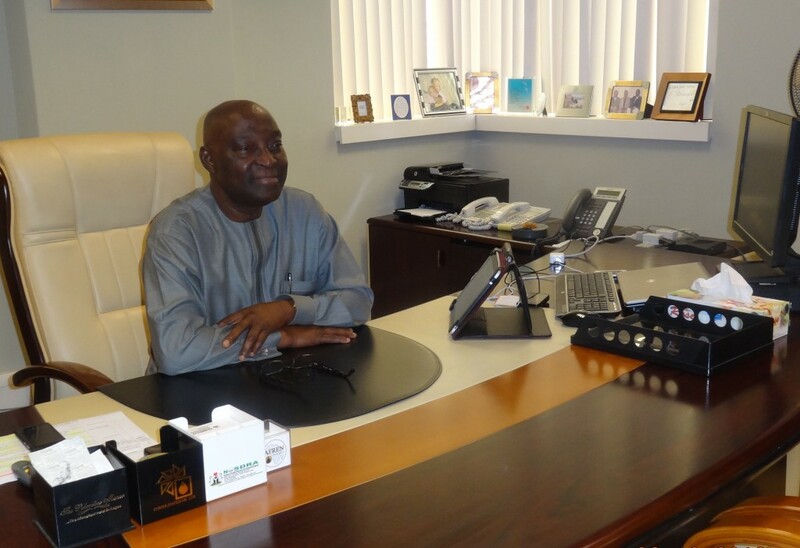 As I write this, Agip is drilling a deep well, Ogbainbiri Deep, to appraise and develop the deep sands earlier encountered in Ogbaibiri 2, which is currently producing at shallower depths. “You’d never find new oil if you’re stuck with the same idea”, warned Omatsola, a 71 year old former Chief Geologist at Shell Nigeria. “Here’s a basin that has productive zones as deep as 20,000feet(6,096 metres),” and that doesn’t have to reach “the lower part of the Agbada(the oil prone, sandy shale sequence in the basin) or Akata, (the massive shale, high pressure sequence)”. He should know. Conoil, which he heads, is currently drilling a well, Ango-2, with targets at deeper than 16,000feet(4,877 metres) for commercial sized oil pool. Earlier in the year, Conoil flowed 4,000BOPD of light (340 API)oil in two reservoirs inAngo 1Stk 3, in Oil Mining Lease(OML) 59, at depths between 15,400ft and 15,550ft True Vertical Depth (TVD). “The reservoirs are ponded against a shale ridge”, Omatsola says of the play concept. “It’s the deepest productive zone in the Niger Delta”. The word ‘productive’ is instructive. Agip has a number of wells that have reached deeper than 16,000feet, but are not producing. The Ango 1Stk 3 results have provided Omatsola more ammunition to campaign for deep drilling in the Niger Delta. Showing a number of slides of seismic lines indicating strong seismic events at great depths (around 6secs),he told the Petroleum Club that “the Coastal Swamp belt is the most productive depobelt” of the five extensional depobeltsin the onshore terrain of the Niger Delta. “Here, there’s 16,000 feet of untested sequence”. Omatsola admitted that there were challenges to overcome, in getting everyone on board his “go-deeper” campaign. “You must understand basin modeling”, he told his audience. For this “the geoscientist (geologist and geophysicist) is the key”. Companies need to embark more on High Resolution deep seismic imaging, which pictures the subsurface clearly as deep as eight (8)seconds (seismic time), equivalent to about 23,000feet(7,010metres)-after time depth conversion. “We must close the skill gap in the industry and have earth scientists who can tell Schlumberger what they want and not just receive what Schlumberger claims it has to offer”. And then the industry has to have the tools of deep drilling. “There are only three rigs in the country with the capacity and two of them are owned by Depthsize”. The rigs he was talking about, he said, “must have depth capacity of up to 35,000feet(10,668metres), rated to at least 15,000psi (pounds per square inch) choke/kill/ manifold pressure. Such rigs must be over 3,000HP (Horse Power), absolutely” . Nigeria, he concluded, must be ready to tap into and develop the potential upside of the Niger Delta Basin. Cobalt reported that its Came iapre salt oil discovery in Block 21,offshore Angola, flowed at an unstimulated, sustained rate of 5,010 barrels per day. discovery” with as much as 5 Tcf of gasin place. ExxonMobil is a partner in the well. South east Nigeria, should yield 4,500-7,000barrels of oil per day per well. Onshore Kenya, Tullow Oil’sNgamia-1 well found more than 328 feetof oil pay over a gross oil-bearing intervalof 2,130 feet in multiple zones. Anadarko Petroleum added seven to 20-plus Tcf of recoverable gas offshore Mozambique at an explorationstrike about 30km northwest of its Prosperidade complex. BG Group reported a fifth gasdiscovery offshore Tanzania with the Mzia-1exploratory well on Block 1 – a first successin the deeper Cretaceous section. Agiba, a joint operating company, operated the Emry Deep 1X well about 288km southwest of Alexandria in Egypt,which encountered 250 feet of net pay in multiplesandstones of the Lower Cretaceous Alam El Bueib Formation and flowed 3,500barrels/day during testing. Offshore Mozambique, an AnadarkoPetroleum partnership hit more than 300 netfeet of natural gas pay in two high-qualityOligocene fan systems with the Atum discovery well in Offshore Area 1 in theRovuma basin. Tullow Oil’s Paon-1X deepwater exploration well, a light oil discovery in a Turonian fan system in the CI-103 licenseoffshore Cote d’Ivoire, extended a provenoil play westward from previous discoveriesoffshore Ghana. Cretaceous gas discovery outboard of the Rufiji Delta, according to partners Ophir Energy and BG. Tullow Oil said Twiga South-1 in Block13T, onshore Kenya, found 98 feet of net oilpay with further potential to be assessed. The Mamba South 2 and Coral 2delineation wells in Area 4, Mozambique, added about six Tcf potential in the Mamba complex for ENI and partners. Cobalt reported that its Cameiapresalt oil discovery in Block 21,offshore Angola, flowed at an unstimulated,sustained rate of 5,010 barrels per day. discovery” with as much as 5 Tcf of gas inplace. ExxonMobil is a partner in the well. southeast Nigeria, should yield 4,500-7,000barrels of oil per day per well. Anadarko Petroleum added sevento 20-plus Tcf of recoverable gasoffshore Mozambique at an explorationstrike about 30km northwest of itsProsperidade complex. Agiba, a joint operating company,operated the Emry Deep 1X well about 288km southwest of Alexandria in Egypt,which encountered 250 feet of net pay in multiplesandstones of the Lower Cretaceous AlamEl Bueib Formation and flowed 3,500barrels/day during testing. Offshore Mozambique, an AnadarkoPetroleum partnership hit more than 300 netfeet of natural gas pay in two high-qualityOligocene fan systems with the Atumdiscovery well in Offshore Area 1 in theRovuma basin. Tullow Oil’s Paon-1X deepwaterexploration well, a light oil discovery in aTuronian fan system in the CI-103 licenseoffshore Cote d’Ivoire, extended a provenoil play westward from previous discoveriesoffshore Ghana. Cretaceous gas discovery outboard of theRufiji Delta, according to partners OphirEnergy and BG. The Mamba South 2 and Coral 2delineation wells in Area 4, Mozambique,added about six Tcf potential in theMamba complex for ENI and partners. Australian operator Ophir encountered 117metre net gas sands in Tonel-1, and a 55-metre gas bearing column containing 40 metres of net pay in Fortuna East-1well, which are two of the three main wells in its Equatorial Guinea 2012 drilling campaign. The campaign began as batch drilling, with the Eirik Raude semisubmersible first drilling the top-hole sections at both Fortuna East and Fortuna West before moving to the Tonel-1 location to drill the entire well. The three probes are all in Block R. Ophir said the Tonel-1 and Fortuna East discoveries exceeded pre-drill expectations. Rialto has now completed the Gazelle-P3 ST2well testing programmeand the well will now be suspended for future use. The company reported that 40 API Oil was recovered at an unstabilised rate of 760 BOPD prior to well ‘channelling’ gas. “The flow rates confirm productivity of UC-1 reservoir sands”, a press release said. with a flowing wellhead pressure of 1470 psia”. channelling, prevented further oil flow from this interval. Basin. The work is part of the Blocks 1, 3 and 4 drilling programme,operated by BG. Papa-1 prospect has an unrisked mean estimated recoverable resource of 3.1 Tcf (517 MMboe)”, Ophir said in a release. Will he or won’t he? That is the question, as Frank Timis, chairman of African Petroleum Corp., says his company plans to start drilling for oil off the coast of Liberia in March 2011. APC has completed a seismic survey of its two exploration blocks, but Mr Timis looks like the kind of operative who would rather get other companies to operate and fund the E&P programme of an asset he has acquired. Timis told the press that APC plans to bring a floating rig to drill two wells in the area, 48km off the coast and that drilling will cost $100 million. This magazine’s guess is that March 2011 will come and APC still will not drill, unless one enthusiastic E&P company comes around to buy significant equity in those assets and goes ahead to drill. Since that had not happened by January 15, 2011, there’s no likelihood of APC being on the drill site off Liberia until late in the second quarter of 2011. But announcements about plans to drill, such as the one that Mr Timis made in October 2010, only lead to pressure by the government of the country in which such assets are held. Right now, Mr Timis would be under pressure to proceed with his “drilling plans”. Liberia, for one, desperately wants “action” on exploitation of its resources. The West African nation is rebuilding its economy and infrastructure after a civil war that ended in 2003. Liberia is giving away its petroleum property to any company who can show sufficient enthusiasm to operate the property. That’s why the parliament approved an oil-exploration deal with California-based Chevron Corp. and Nigeria’s Oranto Petroleum Ltd(which has never spent money to drill a well any where). KS Endeavour To Drill in Meji Field, Chevron Nigeria is returning from a drilling holiday in its prolific shallow water assets. The California based oil major has contracted the rig KS Endeavour for drilling several wells in the shallow water Meji field in the western Niger Delta basin. “It marks a return of the company’s Joint Venture division to the drill- site and this is quite symbolic”, says Jeffrey Tolkein, an oil industry analyst based in Cairo. Chevron Nigeria’s drilling in the last six months had focused on the Agbami deepwater field. The company’s drilling activity in shallow water, swamp and land, have been on hold as the company focused on squeezing as much crude oil as it could, in areas to which it couldn’t gain access at the height of militant attacks. “Production, not drilling, has been top priority”, says Tolkein. “But for you to guarantee continued production, you have to return to the well site, either for workover, testing, or new drilling”. Chevron refrained from drilling in its swamp assets(Gbokoda, Benin River, Abiteye..) after attacks seven years ago, but has since refurbished the facilities and lined up plans to drill as many as 30 wells in the swamp area beginning in 2012. The shallow offshore, which had been the company’s main cash cow over the last 40 years, had continued to see drilling action, until the sudden stop in drilling in 2010. With the return to drilling operations in Meji and the expectations for swamp activity in 2012, Chevron Nigeria’s drilling activity should progressively rise in the next 15 months and help improve the country’s low rig count(16 rigs monthly average in 2010).